Dimensions 0 by 6.85 by 9.69 in. Thailandâs politics has been contentious in recent years. With a military coup in 2006 and another in 2014, the country has moved from being a promising electoral democracy to a military dictatorship. Electoral politics was embraced enthusiastically by some groups, including those in rural areas of the north and northeast, but came to be feared by groups variously identified as the old elite, royalists and the establishment. The transition to authoritarianism saw large and lengthy street protests and considerable violence. This book examines the background to and the sources of conflict and the turn to authoritarianism. It addresses: the return of the military to political centre stage; the monarchyâs pivotal role in opposing electoral democracy; the manner in which sections of civil society have rejected electoral politics; and the rise of powerful non-elected bodies such as the Constitutional Court. 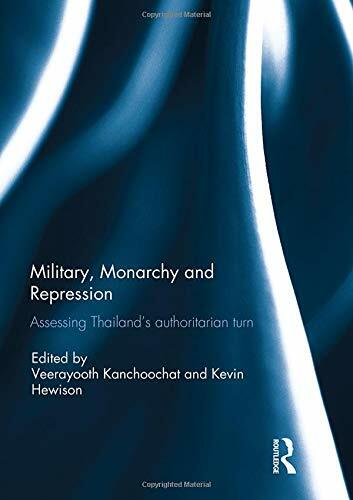 In examining Thailandâs authoritarianism, attention is also given to how income and wealth inequality may motivate political outcomes and also to the ways in which the military and the old elite have attempted to establish a "Thai-style democracy" that disenfranchises the majority. This book was previously published as a special issue of Journal of Contemporary Asia.